We’ve all heard the phrase, “Birds of a feather flock together”. The phrase is commonly used in terms of people who tend to have the same kinds of ideas, values and morals, hang out together. We as people, like birds, tend to migrate to those who are like ourselves and believe in the same things we do. However, what happens when we are trying to change our thoughts, habits and beliefs while we are still surrounded by our families and co-workers who we happen to spend a majority of our time with? What are we to do then? If you are looking to make a change in your life or even if you just want to add a little something new to it, you can look for like-minded individuals that will support what you want to accomplish. Sometime you need to take a proactive approach to finding these types of people, groups or communities. In doing so, others of the same mindset, interests and belief systems will migrate towards you on their own. At a certain point in my life I was in a very dark and depressed state. It took some time, but I decided that what was occurring was not how I wanted my life to be going. So I learned, through reading and study, that I had complete control over how I could live my life; by acting instead of reacting. 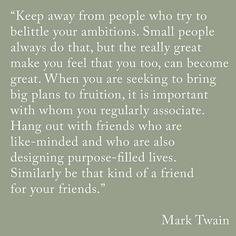 I also realized that having like-minded people in my life would keep me on my path. People like Stephanie Smith Mazzella and listening to Dave Mac Arthur’s podcasts. I also wanted to rediscover and explore my creative side, so I joined The Documented Life Project and discovered mixed media art. The most important aspect of finding, interacting and learning from like-minded people and/or groups is the climate of those relationships. In your desire for change, it is important to remember that change is about growing and becoming a better you. So you should be interacting with people who are uplifting and supportive. The groups that I chose to be a part of are about sharing, learning, growing and support. This is what you want to be looking for in your own path towards change. I would love to read your thoughts on this. Please feel free to share a comment below and don’t forget to share the post with your like-minded friends.